Volleying is all about positioning and touch. Get your player in the in the right position to make the shot and finish the point and when perfected, it will be a lethal weapon in a players game. Coach throws 2 balls at the same time (Different heights). Player tries to catch both balls in the air. 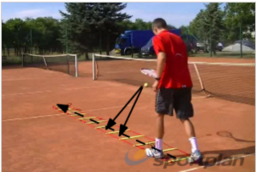 Great exercise to develop ball perception, reaction and coordination.